Thanks for being patient with me, especially when we live in a society where “instant” isn’t fast enough and people are continuously racing to the finish line. 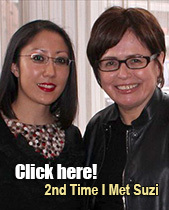 As you will have noticed, I’ve taken a more relaxed style to blogging compared to what I used to do. 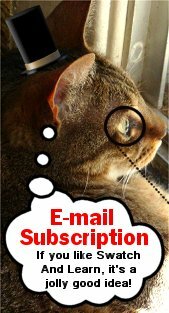 It’s mainly because of three reasons: (1) I don’t want to burn out, (2) I’ve been diving deeper into another hobby (the planner world), and (3) I’ve been spending more time with friends and family. I am still passionate about blogging here, so I will continue to share my thoughts (and my nails!) for as long as I can. 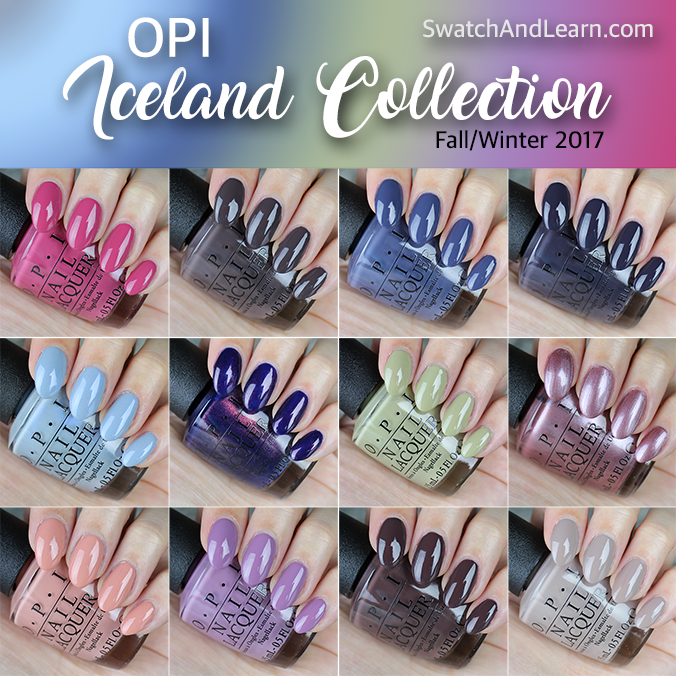 Today, I have swatches of the OPI Iceland Collection for Fall/Winter 2017! Autumn’s my favourite season, so I was really excited to try out all the colours. I appreciate the diverse colours included. There’s something for everyone from the posh grey and slate blue to the retro green and rich brown. Less Is Norse – You’ll want more of this medium slate blue. Turn On the Northern Lights! – This dark blue with pink sparkle is lit. Suzi & the Arctic Fox – A vampy blue for foxy nails. Check Out the Old Geysirs – Teach an old dog new tricks with this light blue. Icelanded a Bottle of OPI – The nail-polish has landed with this pale taupe. That’s What Friends Are Thor – A dark, earthy brown. I’ll Have a Gin & Tectonic – Pale, classy peachy pink. One Heckla of a Color! – A purple so pretty, it won’t get heckled. Reykjavik Has All the Hot Spots – A sizzling frosty pink. Aurora Berry-alis – ‘Pink’ about this rosy hue. Krona-logical Order – Get your nails in line with this dark mushroomy taupe. This entry was posted in Nail Polish Swatches & Reviews, Product Reviews, Quick Look and tagged OPI, OPI Aurora Berry-alis, OPI Check Out the Old Geysirs, OPI I'll Have a Gin & Tectonic, OPI Iceland Collection, OPI Icelanded a Bottle of OPI, OPI Krona-logical Order, OPI Less Is Norse, OPI One Heckla of a Color, OPI Reykjavik Has All the Hot Spots, OPI Suzi & the Arctic Fox, OPI That's What Friends Are Thor, OPI Turn On the Northern Lights, This Isn't Greenland on September 27, 2017 by Mary S..